BizOps from Aegis Commerce Solutions is a web based business process,order management, procurement and fulfillment solution developed to streamline the supply chains of distributors, manufacturers and retail chains. The system integrates with companies’ existing business management systems and can be extended outside the enterprise allowing trading partners to seamlessly interact electronically. This provides users of BizOps with a distinct competitive advantage and improved communicative ability across platforms and departments. The end results are an accelerated Return of Investment and significant cost savings in day-to-day operational expenses. 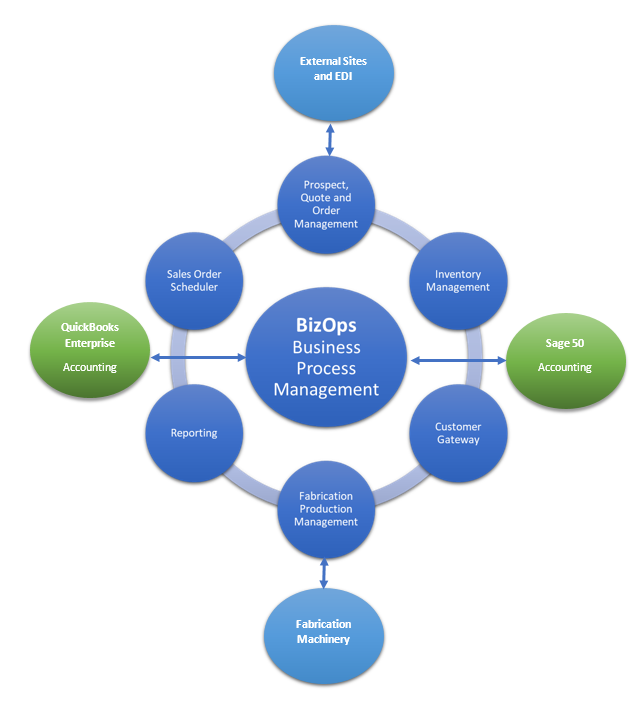 BizOps is delivered both as an ASP solution and under a standard licensing model. Using Business Optimization System, you will be able to conduct business with customers, vendors and employees in real time, experience anytime-anywhere access to up-to-the-minute data, and have Fortune 1000 power at your fingertips. Web-based software alleviates the need for dedicated IT personnel and capital-intensive start-up and maintenance costs, while providing your staff the means to tap into vital business information from any Internet connection.